Our very first buying trip to France took us to a flat in Paris and included a careful scouring of the country’s flea markets. We fell in love with the way of life and sweeping countryside, and returned with a container full of antiques. We invite with you join us in this corner of France to do the same. The trip will include an immersion into the French lifestyle in Normandy, Paris and Champagne, and plenty of opportunities to experience the culture and buy antiques and brocante items along the way. We’re so excited to share with you during the holidays all of the people who create magical gifts for us here at Chateau Sonoma! We can’t wait for you to meet the makers - join us for live music, holiday shopping, and French 75s featuring gin from Prohibition Spirits! in support of the Sonoma Valley High School music program! Let's come together to relax in our barn as we enjoy live music and the company of neighbors in supporting a wonderful cause! How the French Live travels the world to explore modern French style through the lens of 14 different French families living in the U.S. and abroad—and captures their effortlessly chic “less house, more home” modern French lifestyle through a myriad of beautiful interior photographs, narratives, and simple family recipes. The aesthetic is clean and unpretentious; décor elements are eclectic and deliberate, reflecting each family’s personal “Frenchness”—regardless of where they live—with “coup de coeur” pieces that embody their woven life and travel experiences. Join Tesoro Flowers in ushering in the changing season with our popular Fall workshops! This time will be: Autumn Wreaths and Wine Tasting with Obsidian Wines on Sunday, September 23rd 2:00-4:30. Participants will learn and create a stunning and richly textured wreath using a combination of dried and fresh florals and other natural items that will last the fall season. Adorn your door, wall or gift to a loved one! $175 per participant will include everything you need. Complimentary wine and wine tasting by Obsidian Wine Co and decadent treats by Girl and the Fig catering will be included! You can also enjoy 20% off anything in the shop on the day of the event. Tips and tricks of the floral trade will be discussed. Come learn, create, and say ‘hello’ to The Fall season in a fun and relaxing environment! with 20%-50% off sale items! We look forward to welcoming Arabelle Amboyan to Chateau Sonoma. Her extraordinary voice and music will export you to directly to Paris. La Marie will provide her scrumptious macaroons and we will also provide the champagne. A’bientot! Join us for an evening of celebrating the beauty of French decorating & entertaining with Sharon Santoni from My French Country Home! Sharon will be signing copies of her latest book My French Country Home: Entertaining Through the Seasons, which will also be available for purchase. THE AUTHOR: Sharon grew up in England, married a Frenchman, and has raised her family in Normandy, France. Her blog, My French Country Home, is read daily by thousands all over the world. She writes about life in rural France; the ups and downs of family life; her inspiring French girlfriends; the intricacies of village life; and her love of searching for brocante treasure in the flea markets of Paris and the countryside. THE BOOK: Born from her experience of everyday living in France, Sharon reveals the gracious, easy French way of entertaining guests at her countryside home, year-round. Personal stories evoke the spirit of the French lifestyle, while gorgeous photos make us feel right at home. Find inspiration for your tables throughout the seasons, and discover the simple pleasure of entertaining friends and family. THE BOX: Examples will be on hand of My Stylish French Box, a quarterly subscription box. Sharon and her team work directly with authentic French brands to create a curated box of items. Our choices are carefully made; high quality and value, distinctly French and designed to encourage you to take your time and enjoy the small pleasures in life. What better way to celebrate mom than enjoying an afternoon together in the garden? Join us for a wonderful floral painting class taught by Sonoma artist Alex Cole! Sip champagne, wander the gardens, and paint in a relaxing setting reminiscent of Monet's garden! A wonderful French inspired dejeuner will be prepared by renowned chef Charlene, former chef of Chez Panisse. We couldn't dream of a more idyllic afternoon! This is a class that welcomes all skill levels and is sure bring out your creative side! If you're not sure what to gift mom this year, this is the perfect thing that invites you to spend the day together. We wish you a very happy new year full of peace and prosperity! We look back on 2017 with full hearts, so very thankful to continue to be able to share our love of antiques, design, and artisan products with you! As I put away the holiday decor and prepare for the new year, I find that editing spaces can be very therapeutic. It allows for fresh new things to come in and keeps the journey inspiring and fresh. It also allows for existing collections or furnishings to have more breathing room, which I feel gives us a greater appreciation for the things that surround us! During the first two weeks of January (1/2-1/16) we will be having a New Year Sale with 20% off your entire purchase, with select items up to 50% off. It is my hope that you will be able to find meaningful treasures to add to your home as you refresh your space to welcome the new year. We hope to see you soon!. This year, the annual Lighting of the Snowmen Festival will take place on Saturday, December 2, 2017 at Cornerstone. You can expect lots of holiday festivities + goodies, similar to years past. But, stay tuned because I'm sure we'll have something new in store for you! Wendy Addison brings her theatre of dreams to Chateau Sonoma! Using antique materials and glitter glass, Wendy Addison's custom ornaments will stand out on any tree! Join us for a very special afternoon! Using antique materials and glitter glass, Wendy Addison's custom ornaments will stand out on any tree! Join us for a very special day! Welcome to The Traveling Spectacular! A surrealist vaudeville experience inspired by the dreams and dust of a bygone age. Allow your sense of wonder to ignite as we take you on a journey into the imagination: Grand illusions, a sword swallowing prestidigitator extraordinaire, vaudevillian comedy, a bevy of dancing beauties and the fire-breathing Devil himself! All set to original music by our Gypsy-Klezmer orchestra, the Oddjob Ensemble. Please arrive a little early or stay a little late, and enjoy all Cornerstone has to offer - make a day of it! Shows at Cornerstone take place on Saturdays + Sundays starting at 2pm on each day. The show runs about an hour long. There are two shows each day. Click below for a link to purchase tickets online now. Tickets can also be purchased at the door with cash or credit card. CLICK HERE FOR TICKETS FOR ALL SHOWS! 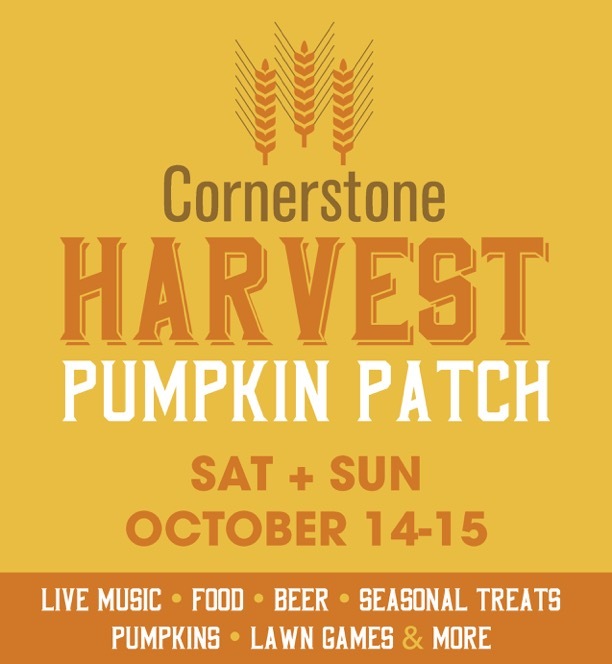 Join us for a weekend of fun, fall festivities at Cornerstone's first annual Harvest Festival + Pumpkin Patch! Cooking with the seasons and perusing brocantes is a way of life in France. Join us for a week-long trip of cooking, wine tasting, and antiquing in the most beautiful, lush part of the country. We couldn't be more excited to celebrate our 15th anniversary!!! We are so grateful for your support throughout the years! Join us at Chateau Sonoma for a Bastille Day celebration! Join us as we celebrate the French revolution with champagne, live music, and antique shopping! The annual French flea market is inspired from those in France. We wanted to replicate the feeling of flea-ing in France here in Sonoma so that our neighbors and friends could experience what we were experiencing in France. Each year we recruit dealers from all over the north west to travel to Sonoma to sell their French imports. The flea market allows vendors to showcase their entire collection of wares, which are traded at wholesale prices. We strive to replicate the ambiance of France by serving sausages & rosé, hosting Michele the barrel organist, and including vendors with a variety of goods. Named the "Best French Flea in America" by French Country Style Magazine, we look forward to another year of bringing France to Sonoma! Mark your calendars, it's that time again! Sunset is hosting their annual Celebration Weekend at Cornerstone. CLICK HERE for more details + event information! The main event will be held Saturday and Sunday, May 20-21, 2017, from 11 AM - 5 PM. General Admission, VIP, and Seminar tickets may be purchased in advance at eventbrite.com, or at the door. (Seminars usually sell out fast, so advanced purchase is recommended!) Taste tickets for wine, beer, and spirit samples will be available on-site at the event. Check back soon for information on all the events and seminars. We have a great lineup this year that includes Chef Ryan Scott, Chef Perry Hoffman, Chef Ari Weiswasser, Tyler Malek, many of Sunset's own editors, and more great talent. Check back for the full stage schedule soon! Free parking and a shuttle will be available at the Sonoma Valley Airport, Sonoma Valley High School, and Sonoma Town Square. Please note that there will be no public parking or drop-off areas at Cornerstone. Can you recommend a hotel in the area? What about tasting rooms or restaurants? Of course! We encourage you to stay the weekend and check out some of our editors' favorite spots in Sonoma wine country. Is Celebration Weekend an environmentally responsible event? Yes! Here at Sunset Magazine we care deeply about the environment and work hard to make sure our events are not just an amazing experience, but also ecologically responsible. We will implement a recycling and composting program to reduce landfill waste and minimize our waste footprint. Our staff will work closely with our vendors, sponsors, and exhibitors to collect food waste for composting and recyclable items for recycling, as well as helping to keep the site clean of litter. What goes in recycling here in Sonoma? Recyclable items include all plastic containers, cans and bottles, cardboard, and paper clean of food waste. Please remember to use these containers and dispose of items in the right bin. We thank you for doing your part to help keep our Celebration Weekend clean, green and an enjoyable time for everyone! New Container Sale: 20% Off Storewide! We're making room for our new shipment of French antiques! Stock up on your Chateau Sonoma favorites and find the perfect mother's day gift! This ain't your grandma's veggie garden. We want to raise the bar on the concept of how we plan and plant our edible gardens, and show you that they can be just as beautiful as any other- and filled with delicious things to eat all year round! 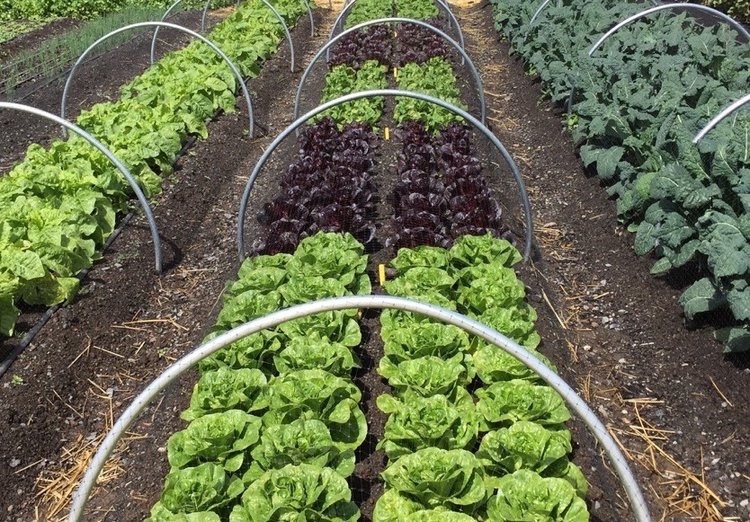 Whether you like precise rows, or an impressionistic composition of verdant plants, this intensive, practical course will get you on the right track with simple principles and techniques to consistently generate a multitude of healthy, delicious vegetables (and flowers!). Seasonal focus will be summer. Come join us and build your very own Infinity Pot! Learn how to layer multiple flower bulb varieties in one pot to create a season long flowering display. From May through October, your pot will gift you with one amazing flower show after another! Purchase your pot from Potter Green & Co. and we will show you the rest. We will have an unusual and intriguing display of flower bulbs to choose from. Bulbs cost $0.50 to $5.00 depending on variety. We will be unveiling our newest Astier de Villatte treasures February 17, 18, and 19th! The shipment is filled with exquisite handmade ceramics and more. Make sure to stop by Chateau Sonoma and take a peek for yourself. You don't want to miss these beautiful pieces! All heart and no hassle. Order your Valentine’s Day dinner to go from Ramekins. Enjoy a five-course gourmet meal for two prepared by our chef, packaged and ready to serve. Please indicate your entree choice in the NOTES section on the payment page. Place your order today! Call 707-933-0450 or order here. Orders must be in by 12pm on Saturday, February 11, 2017.